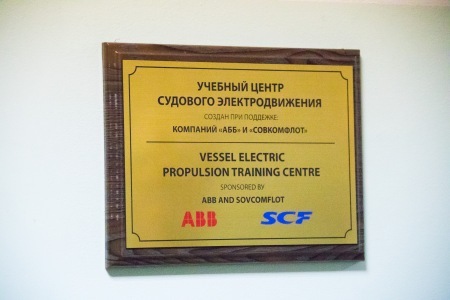 On 10 September 2018, the ceremonial opening of Vessel Electric Propulsion Training Centre, at the Admiral Nevelskoy Maritime State University, was held in Vladivostok as part of the 4th Eastern Economic Forum. The new facility focuses on preparing seafarers for work on vessels equipped with Azipod® propulsion systems. The ceremony was held as part of the official visit of Evgeny Ditrich, Russia’s Minister of Transport, to the University. The ceremony was also attended by: Yury Tsvetkov, Russia’s Deputy Minister of Transport and Head of the Federal Agency for Maritime and River Transport; Sergey Frank, President and Chief Executive Officer of PAO Sovcomflot, Honorary President of the University; and Sergey Ogay, Rector of the University. 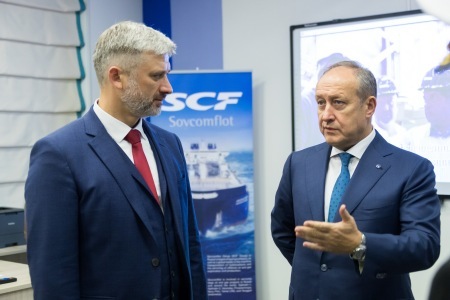 The establishment of the centre follows the trilateral research, technological and educational partnership agreement signed by Sovcomflot, ABB, and MSU in 2016, representing the next chapter in a history of longstanding partnership between Sovcomflot and the University, a leading educational centre serving the Russian maritime industry. ABB equipped the new centre with the unique Azipod® simulator designed to replicate an actual vessel’s propulsion system, while Sovcomflot provided the centre with appropriate computer hardware. 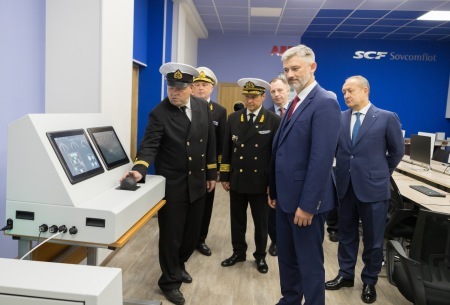 In addition, Sovcomflot took part in preparing the simulator specifications and developing appropriate programmes, with an emphasis on operating vessels in the Arctic and sub-Arctic seas. The centre will be used to train MSUN cadets, as well as to provide advanced training to commissioned officers of the merchant fleet. It is also planned to conduct research, including scientific and experimental activities, in the area of automation of electric propulsion and vessel power supply. PAO Sovcomflot (SCF Group) is one of the world's leading shipping companies, specialising in the transportation of crude oil, petroleum products, and liquefied gas, as well as servicing offshore upstream oil and gas installations and equipment. The company’s own and chartered fleet includes 147 vessels with a total deadweight of 12.7 million tonnes. Half of the vessels have an ice class.